One crew member was reported killed in a fire that razed fishing boat KM Riki Baru on Monday night in the waters of Thousand Islands regency. “There were 17 crew members. Two have been rescued and one died,” Hendra Sudirman, the head of the Jakarta Search and Rescue (SAR) Agency, said on Tuesday as quoted by kompas.com. Rescuers were still searching for the remaining 14 crew members. 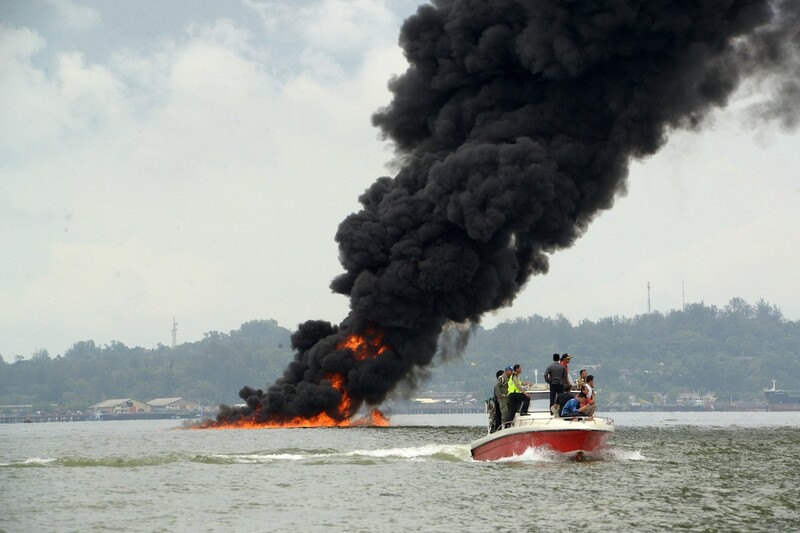 The captain of the KM Putra Bahagia first reported the incident as it passed by the burning KM Riki Baru in the waters east of Peniki Island. The Jakarta SAR has deployed several boats to the area in a rescue and recovery operation.